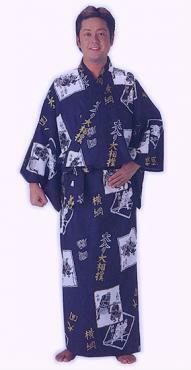 Yukata are casual kimono, easy to wear, light, and comfortable. 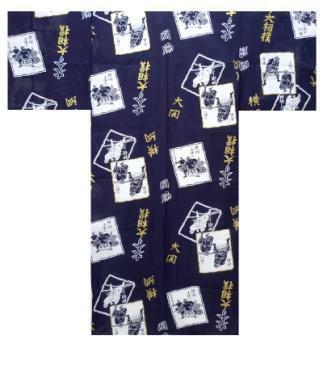 The Sumo yukata is a lightweight print kimono and 100% cotton. 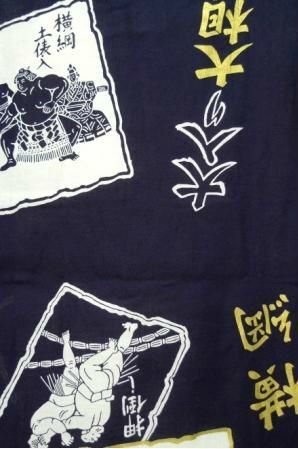 It features a striking pattern of sumo wrestlers and kanji characters associated with Japan's traditional sport. 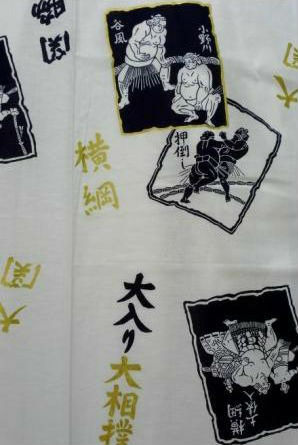 This yukata features a striking pattern of sumo wrestlers and kanji characters associated with Japan's traditional sport. Width: S-L = 62cm (24"); XL = 67cm (26").